Our mission is to create the most healthful Kombucha made with the most best ingredients possible. We brew and bottle each batch by hand surrounded by our beautiful farm to create the most beneficial kombucha possible. We met in 2006 at the local coop. Two years later, we were married. Paul was working as an organic farmer and Ali as a graduate architect. 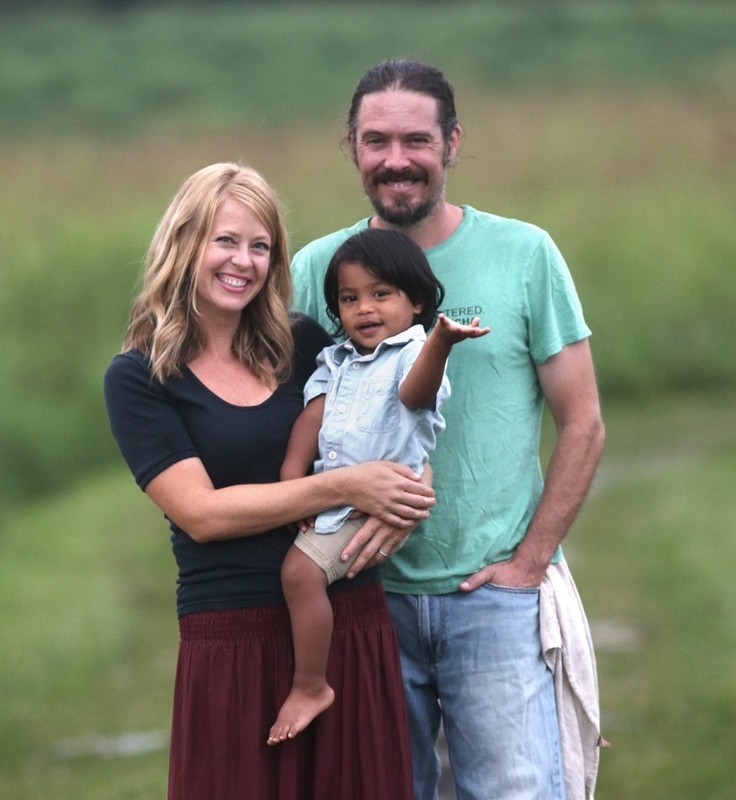 We moved onto a 12-acre farm in rural Springfield, KY and certified it organic, raising organic greens, bees and fruit. Our love of home-brew kombucha continued to flourish and grew exponentially as Ali found a recipe that Paul found to be particularly tasty and unique. We soon begin sampling our brews at the farmers’ market we attended and they were so well received that we put our multitudes of SCOBYs to use on a wider scale. Our certified commercial kitchen on our farm soon became our “kombuchery”. 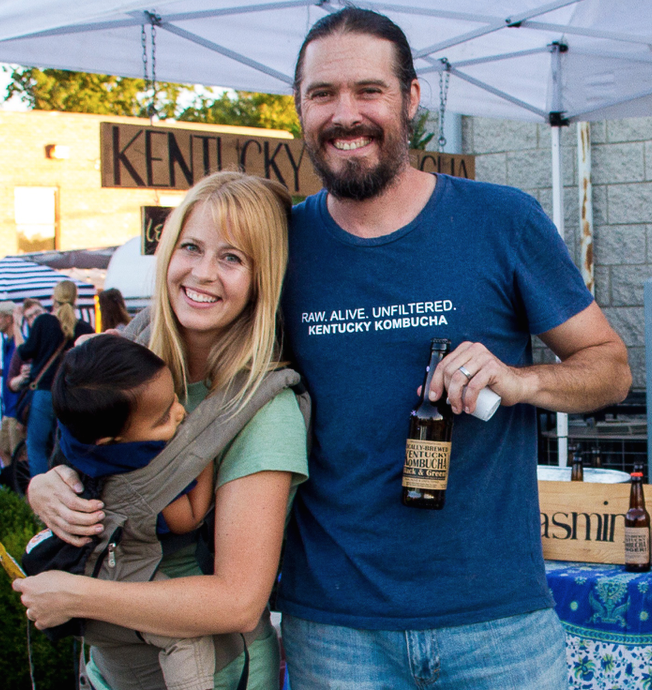 Our kombucha is now sold throughout Kentucky and we are are still living on our farm with our 2 year-old son. We look forward to growing our own fruits and ginger, as well as working with other local farms, for use in our kombucha. Our kombucha is brewed with all organic teas picked for their unique flavor and health benefits. We always use organic sugar cane to brew kombucha in lieu of traditional refined white sugar. Organic sugar cane has a lower glycemic index than refined white sugar, is alkaline in nature and contains calcium, magnesium, potassium, iron and manganese. We are committed to using all certified-organic, non-GMO ingredients in all of our brews to provide the most nutritionally-dense product for you. Check out our brews here..